Plywood nesting box has mounting hole and entry hole on opposite sides for mounting inside of the cage. 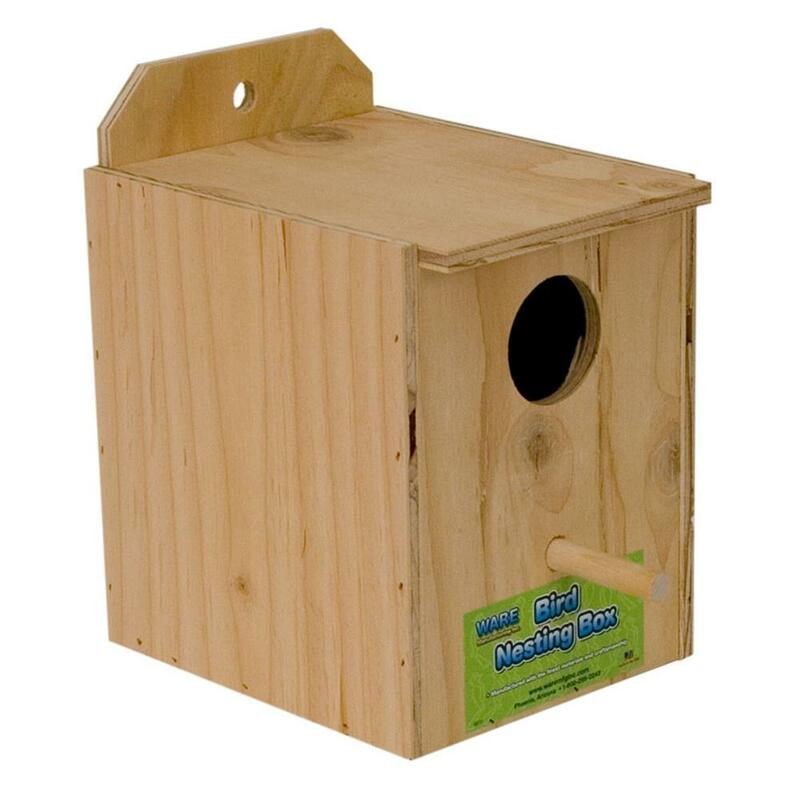 Nest Box has a wooden dowel perch below entry hole and features a flip-top lid. Design and finish may vary from what is pictured.